At a deep sea hydrothermal vent in the Pacific, a chance meeting of minerals, water and kinetic energy created Rubel. Not being carbon-based like most life on Earth, Rubel is different. 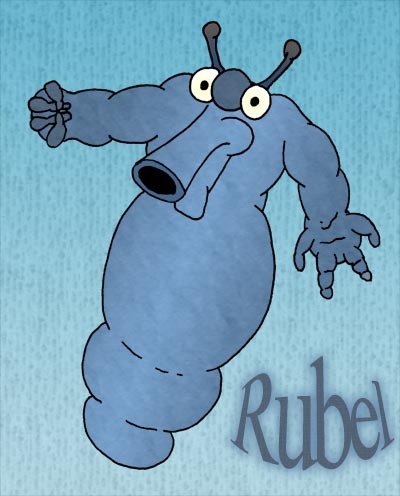 Fluid-based body can cover other organisms, allowing Rubel to perfectly mimic their outward appearance. "Bluo Blue blo commonicaa blart."